The Okanogan Valley Orchestra and Chorus Dec. 9, concert with the theme of “Winter Magic” will include a special showing of a classic holiday video, "THE SNOWMAN", along with a live performance of the score. 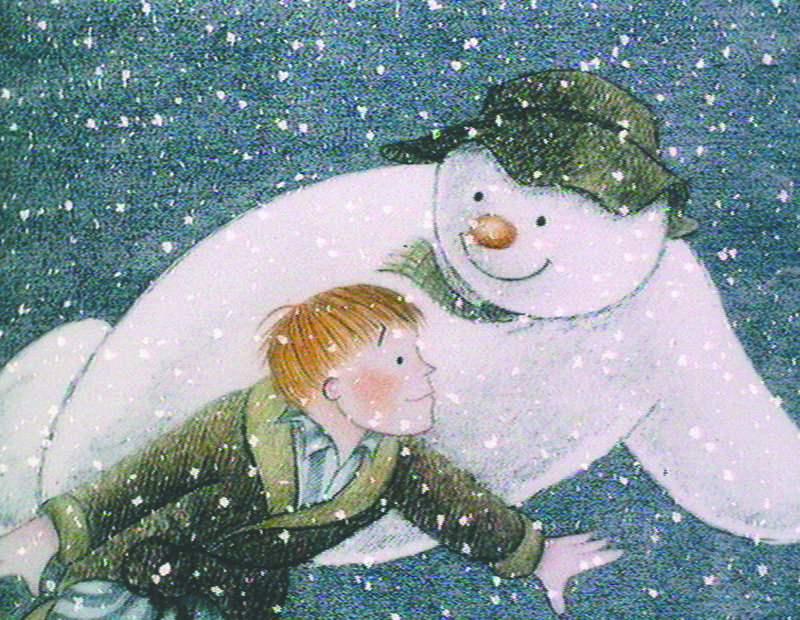 “The Snowman” video was adapted from the classic children’s book by Raymond Briggs into a 26 minute animated television special in 1982. Orchestra Director Matt Brown recalls the magic of this film from his own childhood and believes the beautiful score that accompanied the film inspires children to appreciate orchestral music. The film became something of a Christmastime classic in it’s own right. The full score for orchestra has been released and has become available for live performance in tandem with a showing of the video. The story is told through pictures, action, narration and music, scored by Howard Blake for a full orchestra. OVOC is very excited to be presenting this opportunity for a truly magical family experience in December. In addition to the video, the Chorus will be performing holiday favorites, holiday music from the movies, plus a few beautifully inspirational winter songs of the season. All OVOC concerts are at the Omak Performing Arts Center and will take place on Saturday afternoons this year. The usual time for the concerts is 3 p.m. but note that on Dec. 9 the time will be earlier, 2 p.m., to allow families to enjoy other holiday activities taking place in Omak that day. Tickets are available at the door, with prices at $12 for adults, $10 for seniors, $8 for youth 13-18 and all children 12 and under free. Contact Judy Johnston, judy@ovocmusic.org, with inquiries.